My name is “Frostbite” (because of my cute white paws) and as the author of today’s Second Chance Humane Society Pet Column I wanted to promote World Animal Day. Although this day is officially celebrated internationally on October 4, here at Second Chance we are celebrating it throughout the week to broaden its impact and I hope you will join us. World Animal Day was started in 1931 at a convention of ecologists in Florence, Italy as a way of highlighting the plight of endangered species. Since then it has grown to encompass all kinds of animal life and is widely celebrated in countries throughout the world. It is intended as a day of celebration for anyone in the world who cares about animals. It is not restricted to any one nationality, creed, religion, political belief or ideology, it belongs to everyone. The ascribed mission for this Day is four-fold: To celebrate animal life in all its forms; To celebrate humankind’s relationship with the animal kingdom; To acknowledge the diverse roles that animals play in our lives – from being our companions, supporting and helping us, to bringing a sense of wonder into our lives and; To acknowledge and be thankful for the way in which animals enrich our lives. Through promoting this Day globally it is hoped that success if found in uniting the animal welfare movement throughout the world. Additionally World Animal Day encourages people to embrace all animals and the unique concerns of each, in every country. It is felt that increased awareness of animal issues cannot fail to eventually lead the way to improved standards of welfare throughout the globe. Second Chance is encouraging its surrounding little Southwest Colorado region to join the movement simply by acting with compassion to make a difference in the lives of animals – those in your household, neighborhood, town, country or wherever you feel you can make a difference. 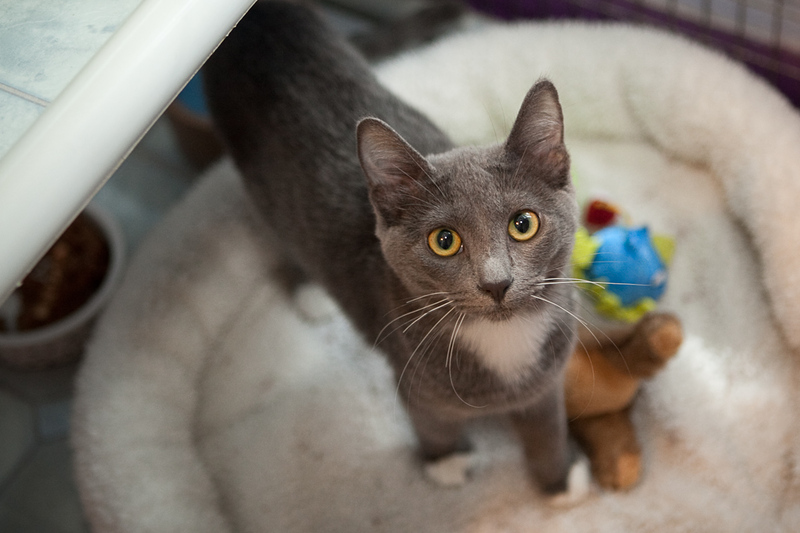 As a homeless cat here at the Second Chance Shelter I can suggest two critical ways that you can show compassion toward animals – adopting a homeless cuddly kitty like me or volunteering at the Shelter and cuddling a cuddler like me. « Micro-chipping Your Pet is Safe!